Contrary to what FIFA President Giovanni Infantino said, Xavi feels that 48-teams in a World Cup Event would not be feasible. Former Spanish international Xavi Hernandez believes that FIFA’s (‘Federation of International Football Association’) proposal to accommodate more teams in the tournament from the 2022 World Cup should be abandoned. Last week FIFA President Giovanni Infantino said that the 2022 football Qatar World Cup may see an expansion from 32 to 48 teams. FIFA decided in 2018 that the 2026 World Cup, to be hosted by the US, Canada, and Mexico, would use the new 48-team format. “We have published to our council members a feasibility study which is quite a thorough document, where we came to the conclusion that, yes, it is feasible to move the World Cup in 2022 from 32 to 48 teams. “Provided certain conditions are met,” Infantino said during a meeting of the FIFA Council in Miami. 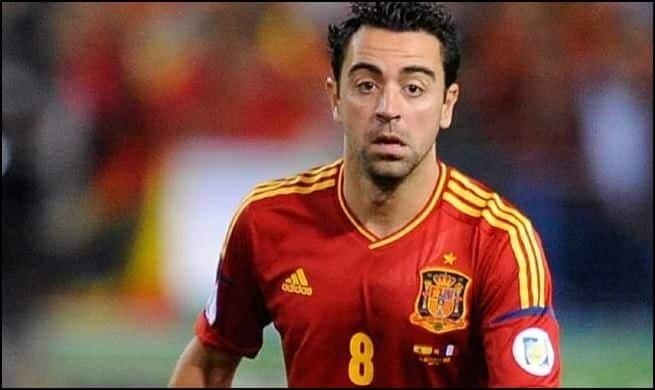 However, World Cup Winning midfielder Xavi differs in his opinion on that regard: “It’s too much and too long. Imagine 48 teams in Qatar, it will not be good in my opinion,” he told reporters on Monday. A final decision on if there will be additional teams will be made at the FIFA Congress in Paris in June, coinciding with the Women’s World Cup, Infantino said. Expanding the field to 48 teams would create three additional berths for Europe, an extra four each for Africa and Asia, three more spots for North and Central America. And the first time, Oceania would get a guaranteed slot.